Maxon Motor Australia introduces a new range of servo controllers in the ESCON series. 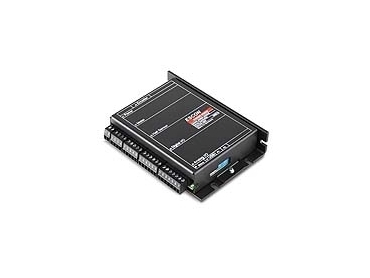 Designed to deliver user-friendly operation and excellent performance, the ESCON 50/5 is a new range of compact and powerful 4-quadrant PWM servo controllers offering efficient control of permanent-magnet activated brushed DC motors and brushless EC motors up to approximately 250 Watts. ESCON 50/5 servo controllers offer superior power density in addition to convenience, functionality and protection. Perfectly matched to Maxon's range of motors, the ESCON 50/5 allows dynamic drive solutions that meet high demands. The ESCON 50/5 has excellent control properties and a very fast digital current controller with an enormous bandwidth for optimal motor current/torque control. The drift-free yet extremely dynamic speed behaviour enables a speed range of 0 to 150,000 rpm. The compact servo controller is controlled by an analogue set value specified via analogue voltage, external or internal potentiometer, fixed value, or by means of a PWM signal with variable duty cycle. The wide range for input voltage and operating temperature allows a flexible use in almost all drive applications, automation technology, machine manufacturing and equipment engineering as well as in mechatronics. Offering exceptional efficiency of 95%, the affordable ESCON 50/5 is ideal for mobile, highly efficient yet consumption-optimised applications.